Crowns – or caps – are placed and cemented to the tops of broken, damaged or failing teeth to prolong their life. Crowns are used when a tooth is broken and cannot be filled. They offer a minimally invasive restoration, repairing teeth so they look and function as well as natural teeth. Dental porcelain can be sculpted to closely replicate the look of natural tooth enamel while providing desirable strength and resilience. 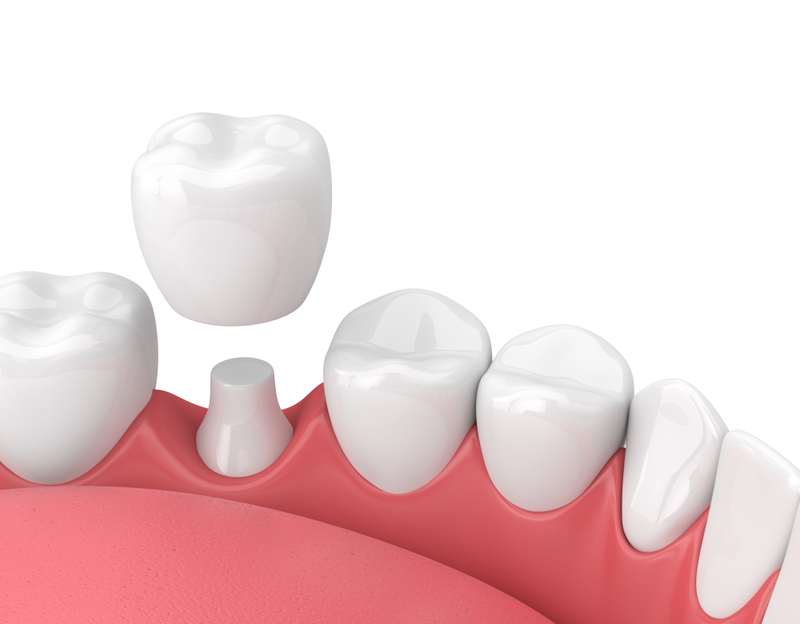 Porcelain dental crowns are an excellent choice when recreating the form and function of a damaged tooth, because a crown basically replaces the entire external portion of the tooth down to the gum level. Crowns are not limited to simply replacing the original tooth, but can be designed to create an even better aesthetic appearance. Preparing a tooth for a crown usually requires two appointments with us.